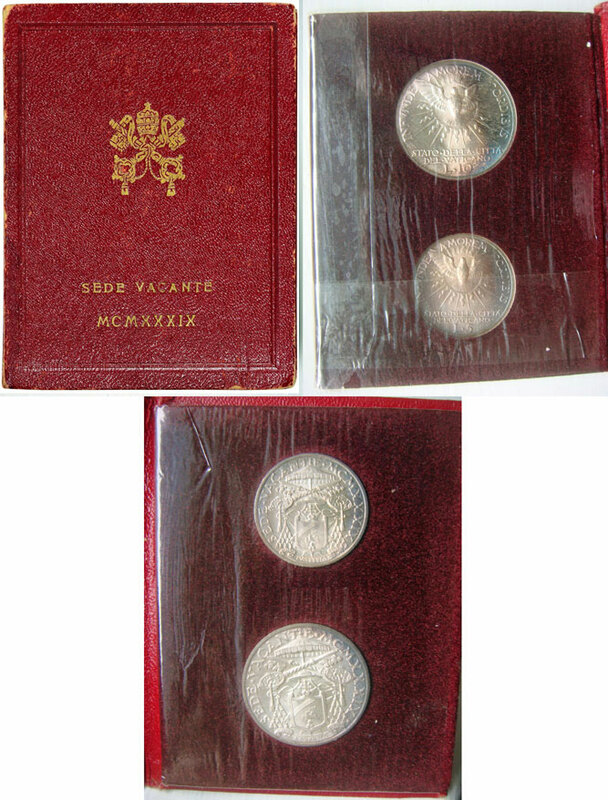 1939 Vatican City 5 Lire Sede Vacante plus 10 Lire Sede Vacante silver coin, still in original cellophane. Obverse: Coat-of-arms of Camerlengo Eugenio Card. Pacelli. Reverse: The Holy Spirit surrounded by rays and tongues of fire. 23mm and 27mm across, respectively. Extremely hard to find in the original folder.